A new 650-MW reactor PWR began commercial operation in China April 8, 60 days ahead of schedule, plant owner China National Nuclear Corp.
A new 650-MW reactor PWR began commercial operation in China April 8, 60 days ahead of schedule, plant owner China National Nuclear Corp. (CNNC) said. The construction of this reactor began in January 2007. The unit, Qinshan II-4, uses China's indigenous technology CNP-600 and is the seventh unit at the , located in Zhejiang (east coast). Qinshan II has four units totaling 2,600 MW, according to CNNC. Qinshan II-1, 2 and 3 are also CNP-600 reactors, which are scaled-up versions of the CNP-300 used for Qinshan I. CNP-300 was China's first indigenously designed nuclear reactor. Qinshan III has two operating heavy water reactors provided by the Atomic Energy of Canada. 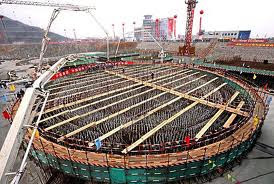 Nowadays, China has 26 reactors under construction and 16 units in operation. 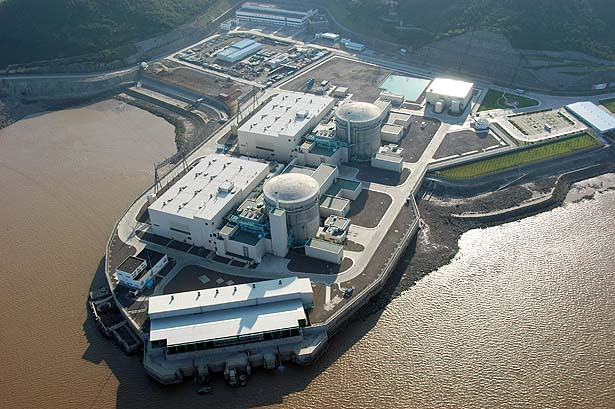 China's Qinshan nuclear power station includes two CANDU 6 reactors that were built on schedule and under budget. About 10 per cent of the world's more than 440 nuclear reactors are CANDUs.